Unless you’ve been boycotting social media, there’s a good chance you’ve heard of the most mouth-watering trend of 2017- the frosé (aka frozen rosé). There’s a reason why everyone wants to #froséallday; not only is it insanely refreshing, but it’s super simple and totally customizable. There’s no one-size-fits all when it comes to these frozen cups of deliciousness. 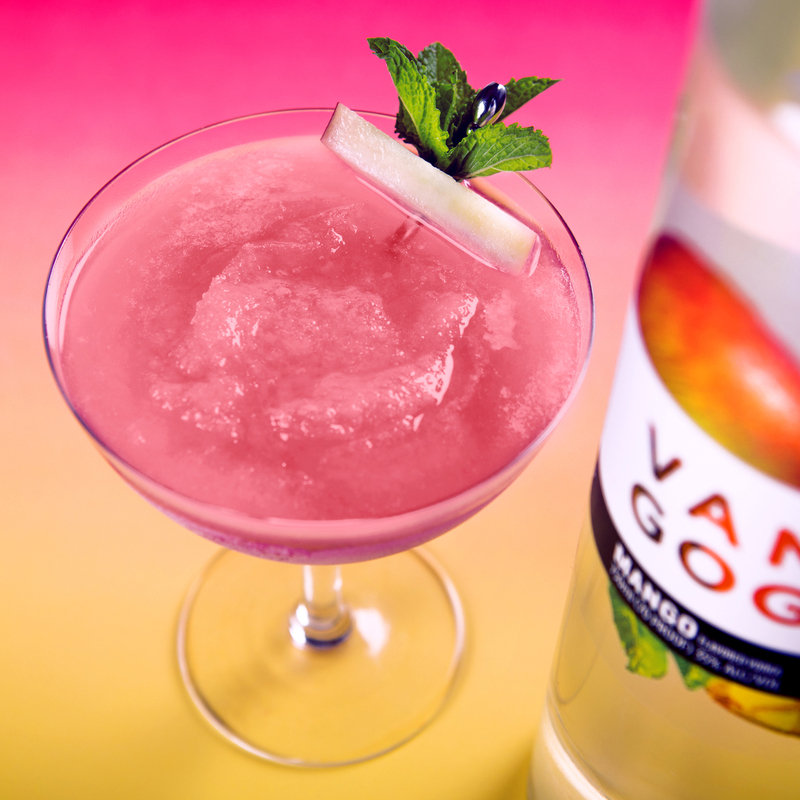 Using our different Van Gogh Vodka expressions, you have the ability to change up the flavor and get creative with your frosé experience. 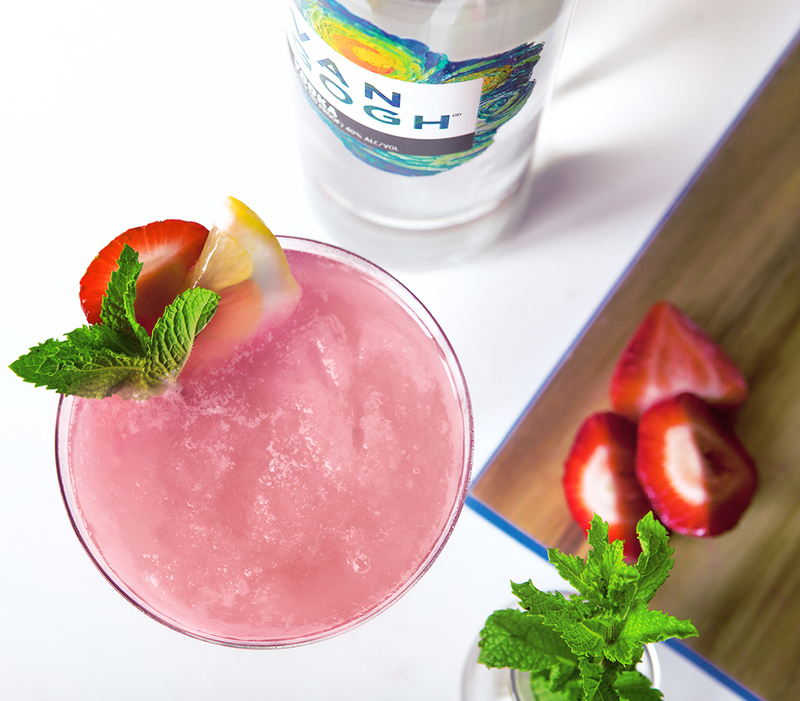 We’ve laid out four different ways to fuse your frosé, so you can mix, match and make it your own! Add ingredients into a blender and blend until smooth. Serve in a wine glass with fresh mint, a lemon wheel and strawberry. Add ingredients into a blender and blend until smooth. 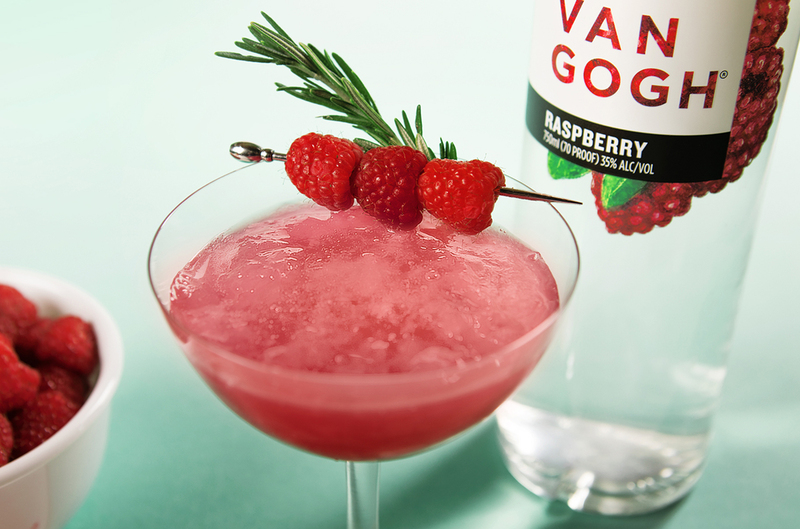 Serve in a wine glass with fresh mint sprig, rosemary and floating raspberries. Add ingredients into a blender and blend until smooth. 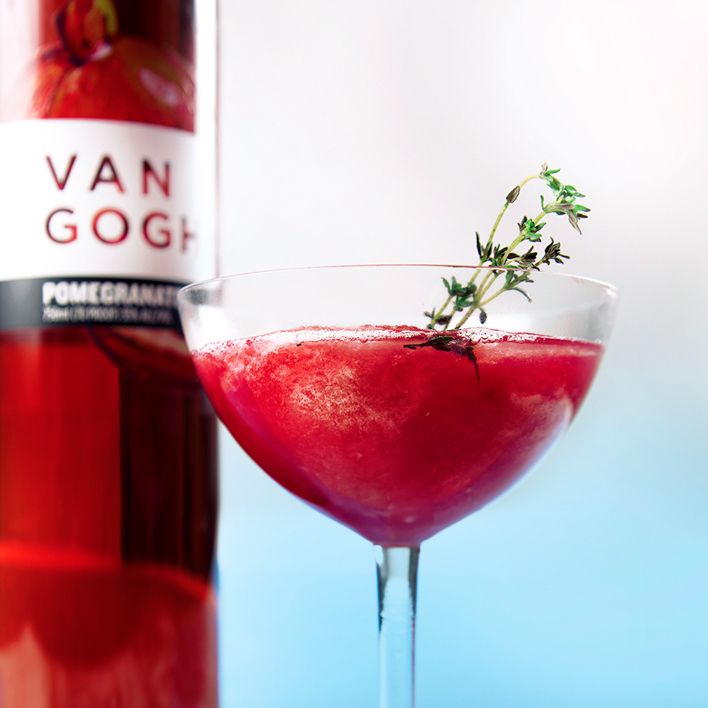 Serve in a wine glass with fresh mint sprig, fresh thyme and strawberry. Add ingredients into a blender and blend until smooth. Serve in a wine glass with fresh mint sprig and peach slice.